Since 1995 we carry out projects for SMEs and corporations in different constellations. 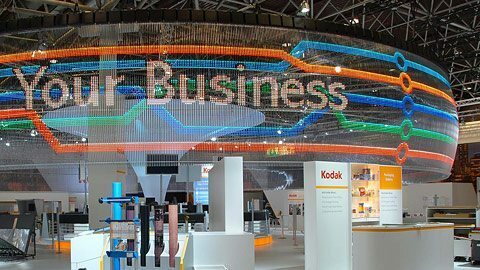 From the design of a company museum to the multimedia support of trade fair booths our customers demanded us with very varied tasks. The topics of visualization, content management, 360° and 3D were always the common thread in our development. Since 2013, Virtual Reality has become a serious technology, we are increasingly focusing on the implementation of VR projects and continue to develop in partnership with our customers our award-winning VR-Suite. With present4D, RWE provides transparent insights into one of the largest construction sites in Europe. 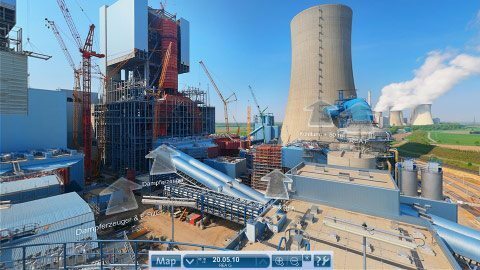 present4D has made various power plants and large industrial plants virtually accessible. Streaming 360° Videoplayer in 2K and 4K. Available for Samsung GearVR, Cardboard, and Oculus Rift. present4D has developed the first official COASTIALITY app on behalf of MackMedia. Various roller coasters in VR mode make you want more. 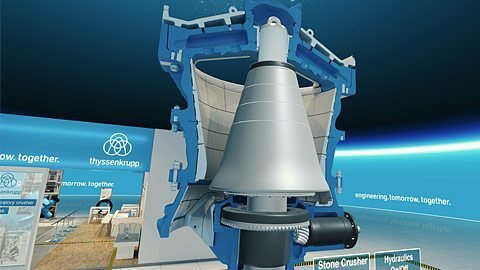 As a virtual extension of the trade fair stand at BAUMA, ThyssenKrupp is using a virtual reality 3D presentation from present4D. Specialized customers can thus clearly explain the functional principle of the new stone gyratory crusher. The interactive rollercoaster ride developed by present4D, driving past product photos and slogans, provided plenty of action on the transport and logistics booth. With the VR-Suite, present4D has made 18 global Doosan power plant locations virtually accessible. Many detailed information make the VR presentation into a full-blown and unforgettable information system. 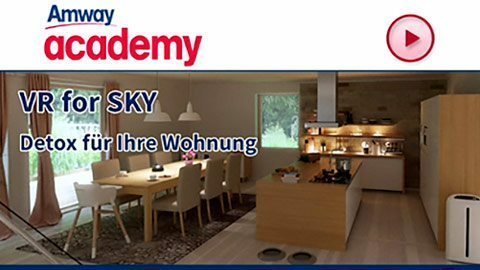 With a customized version of the VR-Suite, Amway introduced the product “Sky” and trained its employees. Gaming modules and quiz elements were implemented as a development project in the VR-Suite. Through experience with the use of countless special installations at various trade fairs, we are very familiar with the requirements of trade fair projects: reliability in quality and timing as well as flexibility right up to the very last minute. In the past, we have come to know many facets of media production. The production of numerous time lapses and image films for companies such as Messe Düsseldorf, Bobst, ThyssenKrupp and Sektor (SMS Group) are among our wealth of experience. For two decades we serve for ThyssenKrupp’s various steel projects. 360 ° documentation from scrap presses to luxury yachts; from waste incineration plants to office real estate.